Dx3800 won't print. All cartridges, heads and nozzles cleaned. Attaxh another DX3800 to Pc, update drivers, This printer won't print either, so I guess it's not a hardware problem. Both printers not printing so where to look from here? All problems on this page have been submitted and answered by users. 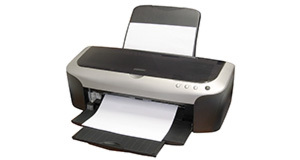 If you have a problem with the Epson DX3800, please submit it below and we'll post it here. Problem: Dx3800 won't print. All cartridges, heads and nozzles cleaned. Attaxh another DX3800 to Pc, update drivers, This printer won't print either, so I guess it's not a hardware problem. Both printers not printing so where to look from here?